Look, I like my Wii U. I really like it. Nintendo came at us with yet another weird, innovative system late last year, packed full of gaming potential and open to a crazy amount of control schemes and options. And Miiverse -- what a breath of fresh air! While it's still early in the game I feel comfortable saying that Nintendo knocked it out of the park as far as console launches are concerned. But I'm playing another Mario game with my Wii U. And while it's a great Mario game, and while I'll always have love for the mustachioed plumber and his brother, I don't truly feel fulfilled with the Wii U just yet. The launch line-up was respectable, but I've blown through it all already, and there still is something missing from the initial offerings. When you boil it down, I buy a new game system with the intent of using it for playing role-playing games. While I consider myself a well-rounded gamer, RPGs are what I live for. Dungeons, airships, healing potions, grid-based movement, big eyes, spiky hair, random encounters -- it never gets old, and I don't really feel like I've gotten my money's worth from a console until I've worn the print off the face buttons of its controllers from grinding. Which brings me to the Wii. Not a bad system, but it was probably the worst in a long time when it came to role-playing enjoyment. It wasn't until the very end of that console's relevance that RPG fans could say that it was really "worth it," and even then it took a lot of begging and noise-making to get to that point. When I think of the Wii, I think of bowling and wrist straps and holiday rushes, and not a lot of quality games. That all said, Xenoblade Chronicles was one of the best games of last year, and definitely "worth" picking up a Wii for. It's just that, up until that time, the Wii was a wasteland for quality JRPG action. For those of us that came up in the 16-bit ages, Nintendo had the system for RPGs. Most, like the Final Fantasy games, Chrono Trigger, Breath of Fire, the Secret of series, Lufia, Tactics Ogre, and countless others, came from third parties, but several greats also came from Nintendo, and all of them made for a very memorable childhood. Sadly, as time went on RPGs became rare side dishes on Nintendo systems. From Nintendo 64 to GameCube to Wii, it felt like my genre of choice required a non-Nintendo system to play, which was a bummer for this Nintendo fan. Nintendo seemed completely disconnected from the role-playing gamer these past few years with the Wii, and that's not to mention the "core" gamer and his/her needs. The focus was on family fun, affordability, and the reworking of popular Nintendo franchises right out of the gate, with almost no mind paid to experiences for the older, more experienced gamer. Zelda? Yes, I love Zelda, but that's not enough. 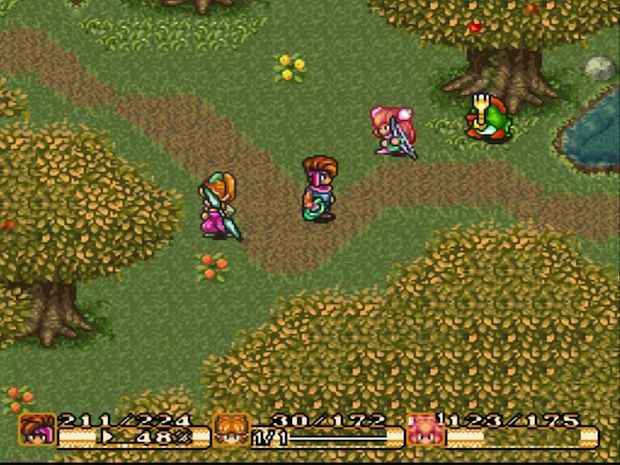 For whatever reason, whether it be a lack of network capabilities, lack social functions, or non-HD graphics, third-party publishers mostly seemed to gloss over the system for their RPGs and other core games. Opportunities for localizations regularly slipped by, leaving Wii owners puzzled. We had to stomp and throw a fit with online campaigning to get some of the better titles from Japan, including Xenoblade Chroniclesand The Last Story, and we've recently learned that our noise-making also got us Pandora's Tower. So it was "worth it" in the end. But we've still missed out on so many great games, leaving us to wonder if anyone was listening to us at all. Today's Wii U Direct was a refreshing change, and a sign of good things to come for the Wii U. It seemed that, from today's presentation, that Nintendo has been listening. Maybe we made just enough noise. Maybe they're refocused. Who knows. But it does seem that they're tuned into the frequency of role-playing Nintendo fans now. A joint project between Atlus and Nintendo's Intelligent Systems division brings us a cross-up that mixes the world of Shin Megami Tensei and Fire Emblem. A system that, until today, had nothing in the way of key RPGs in its line-up now has what is likely to be the most crazy and exciting collaboration of the year. While we're still waiting for details, it's enough to know that two major role-playing game franchises are coming together in an upcoming Wii U title. What a way to come out of the gate! 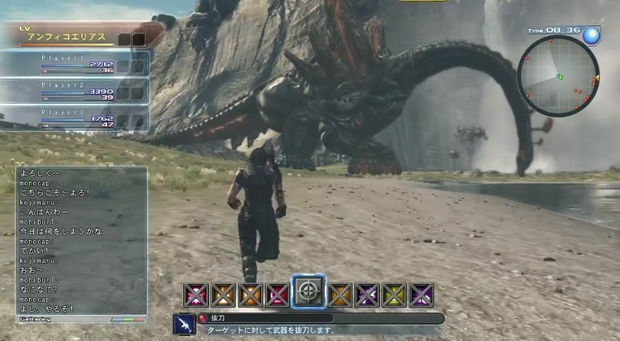 And then there's this new "Xeno" series game, coming from Monolith Soft and Nintendo. 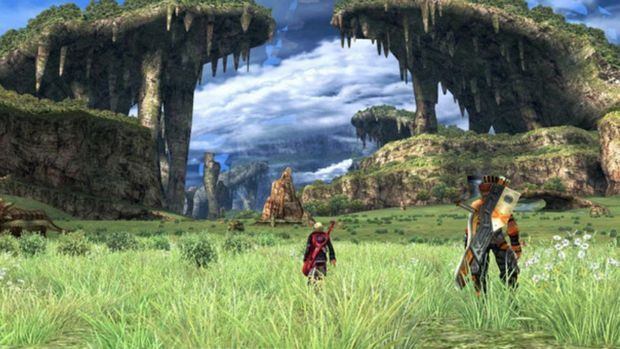 The director and designer of Xenogears and Xenosaga are on board to bring the Wii U what looks to be an evolution of Xenoblade Chronicles. We don't even have a name for this title, but huge beasts, mecha battles, lovely visuals, and a soaring orchestral score were shown in a teaser trailer. It was the "two" in Nintendo's one-two punch to RPG fans this morning. I've never been more excited about a red "X" in my life. A new Zelda game? A Wind Waker port? New Mario Kart and Mario franchise titles? New system features? Yes, all big news, and all good things for Wii U owners. But the two most prominent of Nintendo's announcements this morning were RPGs. I loved that the final announcement was the Xeno- game. It seemed to say that, yes, we have a lot coming for Wii U, but get a load of this sucker. Details on both of these games are scarce, but we're already in a good place. I had no doubt that, out of the gate, the Wii U would be "worth it" for us. But these two new announcements have put the system squarely in the RPG spotlight. I read countless comments this morning from people that said that they now "have to get a Wii U" for these. These announcements and this kind of reaction are good for us, RPG fans. It lets other developers know that we are ready and willing to buy and play their Wii U RPGs. It also lets them know that Nintendo will be happy to prominently feature their game in their broadcasts. I think everyone from my camp is pretty happy this morning. I'll leave you with an encouraging thought: All of this hit us in mid-January. We still have all year for potential good news from Nintendo. E3, gamescom, and Tokyo Game Show all hold more possibilities for announcements. But even with these Year One is already looking good for the Wii U. Company president Satoru Iwata personally apologized for the lack of titles for this first quarter of 2013 this morning, and then showed us all of this. So they have been listening. You're on the right track, Nintendo. I'm looking forward to what 2013 will bring.